Five days of grilled chicken and fish and salads, and I was craving some spicy Indian food yesterday. But was faced with the same high-protein, low-carb Indian meal conundrum. 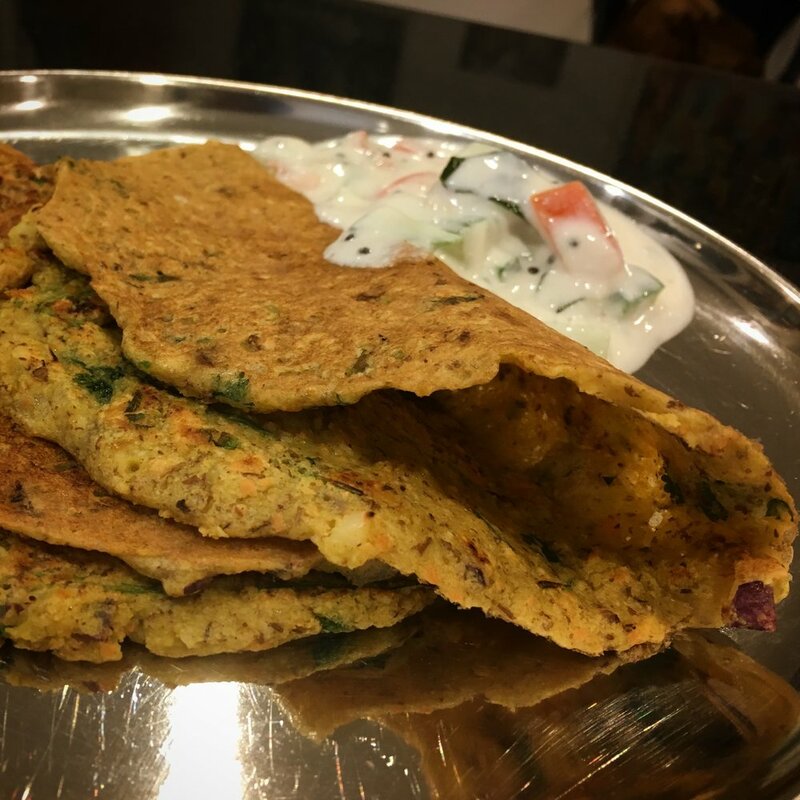 After some internal brainstorming, I decided to experiment with a dal chilla recipe. For those unfamiliar with what this is, a dal chilla is a spiced lentil pancake. I loved how they turned out; here's my recipe. Give it a whirl and tell me what you think. I served these with a cucumber and tomato raita, but plain yogurt and pickle is great too. Serve the dal chillas hot, with pickle and yogurt. I made a raita with chopped cucumber and tomato and a South Indian tempering to accompany the chillas. Cucumber raita recipe to follow. Spreading the batter on the pan with a ladle takes a bit of practice, so don't worry if you don't get it right the first time!